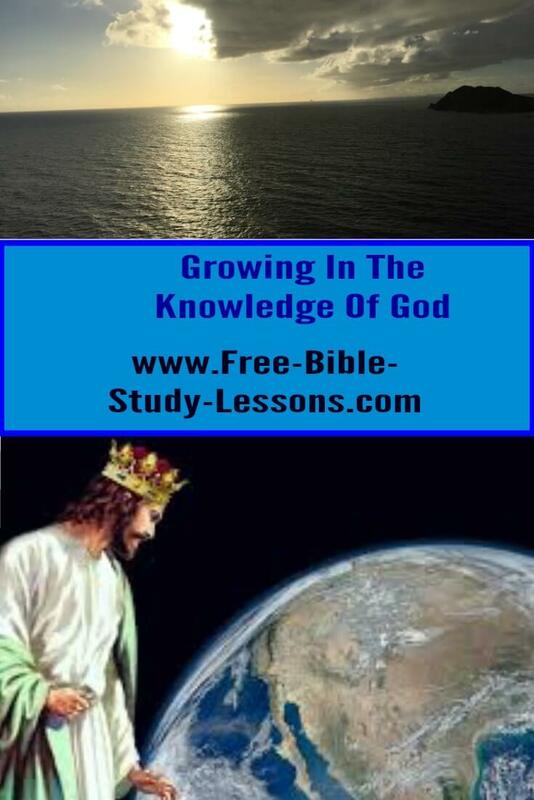 Free Bible Study Lessons explores the Word of God for the glory of God and the enrichment of His people. Our heart is to see all Christians learn and grow to maturity in Christ and for others to come to a love relationship with Jesus Christ. The Christian life is exactly that - a life…an entire life not a life style or a set of beliefs. Christianity is a living, growing relationship with Jesus Christ. There are countless aspects of this relationship - a relationship that will be growing and developing throughout all eternity. One of the vital and foundational aspects, though, is knowing the Bible. It is God’s love poem and instruction manual on getting the very best out of life now and in eternity - for every action now will have an impact on our life after death as well as consequences for our life now. At Free Bible Study Lessons we know the Bible is not just a book to be read, but the very Word of God which is to be studied, understood and applied in our individual and corporate lives. We also understand that the Holy Spirit must make it alive to you. Without that living relationship with the Holy Spirit, the Bible is either just a great piece of ancient literature or a dry, dusty old book. We must have both the Written Word of God [the Bible] and the Living Word of God [Jesus Christ via the Holy Spirit] to experience its life-giving, life-changing power. Our purpose at Free Bible Study Lessons is to provide you with thought-provoking, life-enriching articles, self-study e-mail courses, historical information and just plain fun. We are born into a physical world that believes in the lies and deceptive fantasies of Satan. He is a master magician spinning his corruption to the eternal [non-Christian] and temporary [Christian] destruction of lives. Of course, the Christian is ultimately delivered from his sinister plots by the blood of Jesus Christ. However, since we have been born into this upside-down world of lies we struggle to discover and practice the Truth [and Truth ultimately is a Person: Jesus Christ]. Part of the journey of the Christian is uncovering the lies we have believed and accepting the Truth. In some areas we may find this easy, in other other areas there are strongholds of deception that must be conquered. For example, if you are a Christian and believe that you are powerless against a certain sin in your life - that is a lie, but until you really know [intimate experience] the Truth in that area it will defeat you every time. Many times sincere Christian people support anti-Christian causes and policies in every level of life [family, business, church, government, etc.] because they either do not know or are unwilling to accept the Truth of God’s Word in that area. Do not be caught in that trap. A Christian is one who will put the will of God above his or her own will, preferences and prejudices. Free Bible Study Lessons is an opportunity for you to expand your knowledge and grow your life in Christ. It is a site you can come to often to research Bible topics and applications. You can easily search our site with our search bar on the top of every page to see if we have written on your topic of interest. At the bottom of every page you will also find the Bible Gateway search engine which allows you to look up Scripture verses and topics in the Bible. Check everything out! You may not agree with everything here [in fact you probably won’t!] but it will prayerfully open your mind to new possibilities and challenge you to study the Bible and discover what and why you believe what you do. And don’t forget to check out the fun pages for jokes, Bible treasure hunts and more. And be thoughtful. If you find our Free Bible Study Lessons site to be helpful or interesting be sure to “Like” it and share it! It is a “free” way you can help us spread the word. God bless.